If Rovio comes up with a update for Angry Birds Seasons Seasons, can Imangi Studios be left behind. No, Siree, it has gone ahead with a major rehaul to its Temple Run 2 for iOS and Android. The new update brings in new graphics, more obstacles, more power ups, and achievements and obstacles and wait a minute, New Death. The new map gives the users a endless running game which can be fun for a couple of days till either your fingers tire or you neck gets cramped. The new map, called The Narrows, has a treacherous new terrain added to the game that is bound to make avoiding obstacles far more challenging for players. The terrain has a series of narrow planks that are difficult to negotiate and if you slip you are a goner. The new Death : You could also meet with an untimely death through two new ways. The path could crumble right before your eyes if you're not fast enough or you could come in the way of spinning saw blades. Sounds eerie! Imangi Studios has also given away lot of free in-game money in this update which can be used for buying in-App stuff. On the technical side, Imangi Studios has also fixed a couple of important features of the game. Besides these bug and performance fixes, it has also patched up the skip button crash that seemed to be affecting a lot of users. iOS users can grab the Temple Run 2 here from Apple Play Store. 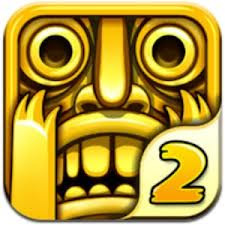 Temple run has become the largest franchise with 300 million downloads. You also be a part of the record breaking experience. If you wish to browse for further games please click here. Please post in you comments on the game in the comments section. mysay I have given up playing this kind of games they are very addictive. However I liked this one. Maybe play for a day or two!